Gloria Fong is a 2nd year medical student at the University of Sydney. Gloria is interested in hepatitis B health promotion. As the epicentre for the highest incidence of liver cancer diagnosis in New South Wales, southwest Sydney is simultaneously home to a large number of first generation migrants from Southeast Asia. Alarmingly, these individuals are six to twelve times more likely to be diagnosed with liver cancer than Australian born individuals. This article aims to explore some of the challenges in diagnosing and managing hepatitis B in culturally and linguistically diverse (CALD) communities as well as to introduce the B Positive Program, a health initiative by the Cancer Council of New South Wales, as a model to address chronic hepatitis B related health issues. While hepatitis B vaccination is part of the immunisation program for infants and school-aged children in Australia, the incidence of hepatitis B induced hepatocellular carcinoma (HCC), the most common form of liver cancer, continues to be on the rise. This surge is largely attributed to chronic hepatitis B (CHB) infection amongst the migrant population from endemic areas such as Southeast Asia. Alarmingly, these migrants are six to twelve times more likely to be diagnosed with liver cancer than Australian born individuals. It is estimated that 90% of individuals acquire CHB at birth through mother-to-infant transmission. Thus, most individuals suffering from CHB are unaware of their status due to the insidous nature of the disease in which individuals are asymptomatic until late adulthood. By the time CHB sufferers present for medical attention, a signifiant proportion of individuals have developed advanced HCC and treatment options are limited and survial rates are poor. In order to reduce the morbidity and mortality related to CHB related liver cancer, early screening, surveillance and treatment of high risk populations while in the asymptomatic phase are strongly indicated. The National Cancer Prevention Policy for Liver Cancer recommend that hepatocellular carcinoma surveillance be based on abdominal ultrasound in high-risk groups at 6-month intervals. Blood tests screening for hepatitis B antigen and antibodies are used to diagnose CHB and individuals who are at high risk of hepatocellular carcinoma. If diagnosed early, antiviral agents and regular monitoring are extremely effective in preventing progression of CHB to HCC. As well, low grade HCC can be treated curatively by surgical resection, liver transplantation and percutaneous ablation. Despite these guidelines and treatment options, it is well established that the culturally and linguistically diverse (CALD) communities in Australia remain undiagnosed or improperly managed due to difficulties in seeking equitable medical services. The following article aims to explore some of the challenges in diagnosing and managing hepatitis B in CALD communities as well as to introduce the B Positive Program, an ongoing health initiative by the Cancer Council of New South Wales, as a model to address chronic hepatitis B related health issues. Fear of stigmatization is a legitimate concern that individuals in CALD communities may experience. For example, a Chinese study conducted by Chao et al. showed that in China, healthcare professionals reported positive hepatitis B surface antigen (HBsAg) results to 38% and 25% of patients’ employers and schools respectively. 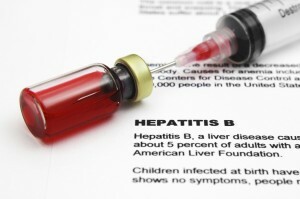 Although this sort of disclosure practice is considered a breach of patient confidentiality in Australia, migrants coming from hepatitis B endemic countries may be reluctant to seek testing because of the aforementioned practices in their home countries. As a consequence, failure to screen and intervene promptly may result in chronic hepatitis B sufferers seeking health professionals as a last resort and possibly present at more advanced disease states. Presentation at these late stages would confer a worse prognosis to the patient and also increase the burden and cost to the healthcare system. Not surprisingly, within Australia, similar surveys have shown similar gaps in knowledge amongst general practitioners. Due to lack of knowledge, general practitioners may neglect treatment for individuals suffering from chronic hepatitis B or make inappropriate referrals to specialists for patients who are seronegative. In a system that is already overstretched with long waiting periods, this can be highly problematic. In addition, a major concern is that healthcare professionals fail to recognise that effective therapies are available for chronic hepatitis B and that hepatocellular carcinoma diagnosed at an early stage can be effectively treated especially with timely diagnosis, surveillance and treatment using antiviral agents and Fibroscan. Fibroscan is an accurate noninvasive investigation that is used regularly to assess the degree of liver scarring based on ultrasound technology. All healthcare professionals should be aware that recent developments in hepatitis B management, like antiviral therapy and FibroScan, have been extremely effective in preventing, monitoring and controlling the disease to progress to cirrhosis, liver failure and liver cancer amongst chronically infected individuals. The concept of “healthy carriers” no longer holds true. Yet, if healthcare practitioners are not imparted with this important knowledge, the wellbeing and health of many individuals suffering from chronic HBV will continue to be in jeopardy. An added layer of complexity lies in the frequent use of complementary and alternative medical therapies within CALD communities. A 2012 study conducted by Guirgis et al. indicated conflicting advice about hepatitis B management given by conventional and complementary medical practitioners within Sydney. The contradictory information patients receive can negatively affect their screening or management intentions. Hence, it is important to reconcile any conflicting management strategies by not only educating conventional medicine practitioners but also complementary medicine practitioners about hepatitis B screening and management so as to allow the two systems to co-exist and complement one another. Given the increased incidence of hepatocellular cancer is clustered within specific geographical and ethnic regions within Sydney, the B Positive program is a good model in reaching a vulnerable Southeast Asian audience within New South Wales. The program, spearheaded by the Cancer Council of New South Wales, employs various strategies to address access issues at the patient, community and health professional levels. At the patient level, the program initiates numerous educational campaigns and materials to educate the at-risk population and to remove the stigmatization of hepatitis B. One of the strengths of the program is the use of educational materials that are culturally and language concordant. For example, one of the campaign posters features Andy Lau, a prominent Chinese entertainer within the Asian community, as an individual with hepatitis B. Placing a public figure in the spotlight helps to demystify the condition for the CALD community and can demonstrate to carriers that medical therapy is effective given proper management and timely diagnosis. This campaign was highly effective and recently garnered the NSW Multicultural Health Communication Award 2013. Another educational strategy employed by the program was the distribution of chopsticks engraved with the phrase “one cannot spread hepatitis B by sharing food” in Vietnamese and Chinese to shed light on the mode of transmission for the virus. A further strategy that the Cancer Council NSW employed was to collaborate and engage with Asian community-based health organizations like CanRevive and Australian Chinese Medical Association during outreach programs to enhance their cultural authenticity and receptivity within the CALD community. At the community level, the program has recently developed a pilot project in May 2013 to engage high-risk migrant communities by creating a high school certificate course for south-west Sydney students called “Animating Hepatitis B”. This course involves ten weeks of lessons on hepatitis B and animation production before the high school students create short animations to deliver hepatitis B health facts to their community. At the health professional level, the program also assists general practitioners to better identify and screen patients belonging to high-risk groups. Community nurses visit medical clinics to remind general practitioners about enrolling at-risk patients into screening programs. The program also encourages regular monitoring programs of chronic hepatitis B patients for surveillance of hepatocellular carcinoma. General practitioners are also offered Hepatitis B seminars through the Continuing Medical Education Program, so that their knowledge is up to date. With the appropriate use of cultural and language concordant educational campaigns and outreach programs for at-risk individuals, community healthcare workers to deliver these programs, community engagement and continuing medical education opportunities for healthcare professionals, the prospect of reducing the disparities in hepatitis B care within the CALD communities in Australia is highly positive. Many thanks to Dr. Monica Robotin, Ms. Debbie Nguyen, Dr. Simone Strasser, Dr. Jacob George and Dr. Lilon Bandler for their guidance, mentorship and support. Robotin M, Patton Y, Kansil M, Penman A, George J. Cost of treating chronic hepatitis B: comparison of current treatment guidelines. World J. Gastroenterol. 2012 Nov; 14;18(42) :6106-13. Bosch FX, Ribes J, Diaz M, Cleries R. Primary liver cancer: worldwide incidence and trends. Gastroenterology. 2004 Nov;127(5 Suppl 1):S5-S16. Gellert L, Jalaludin B, Levy M. Hepatocellular carcinoma in Sydney South West: late symptomatic presentation and poor outcome for most. Intern. Med. 2007 Aug;37(8):516-22. Ngo-Metzger Q, Massagli MP, Clarridge BR, Manocchia M, Davis RB, Iezzoni LI, et al. Linguistic and cultural barriers to care. J Gen Intern Med. 2003 Jan;18(1):44-52. Karliner LS, Jacobs EA, Chen AH, Mutha S. Do professional interpreters improve clinical care for patients with limited English proficiency? A systematic review of the literature. Health Serv Res. 2007 Apr;42(2):727-54. Wilson E, Chen AH, Grumbach K, Wang F, Fernandez A. Effects of limited English proficiency and physician language on health care comprehension. J Gen Intern Med. 2005 Sep;20(9):800-6. Chao J, Chang ET, So SK. Hepatitis B and liver cancer knowledge and practices among healthcare and public health professionals in China: a cross-sectional study. BMC Public Health. 2010 Feb;10:98. Guirgis M, Yan K, Bu YM, Zekry A. General practitioners’ knowledge and management of viral hepatitis in the migrant population. Intern. Med. 2012 May;42(5):497-504. Guirgis M, Nusair F, Bu YM, Yan K, Zekry AT. Barriers faced by migrants in accessing healthcare for viral hepatitis infection. Intern. Med. 2012 May;42(5):491-6.